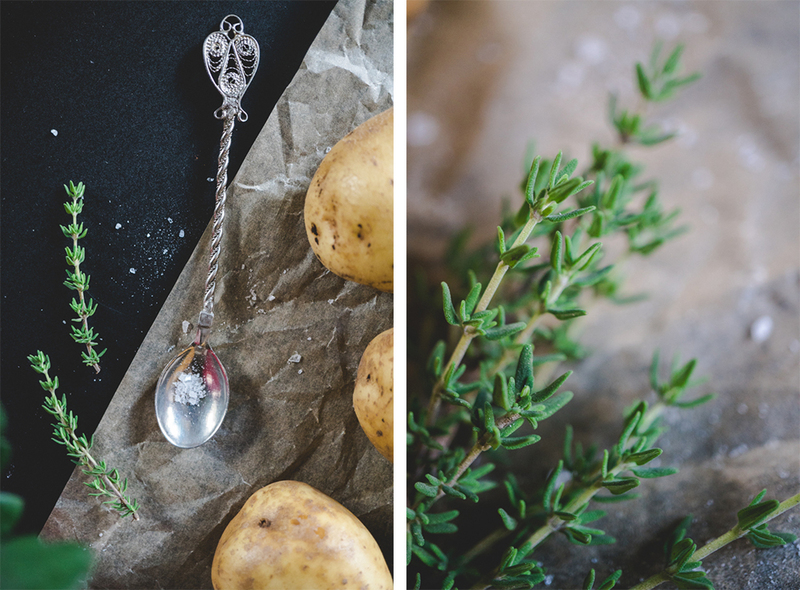 There are many ways how to cook potatoes. 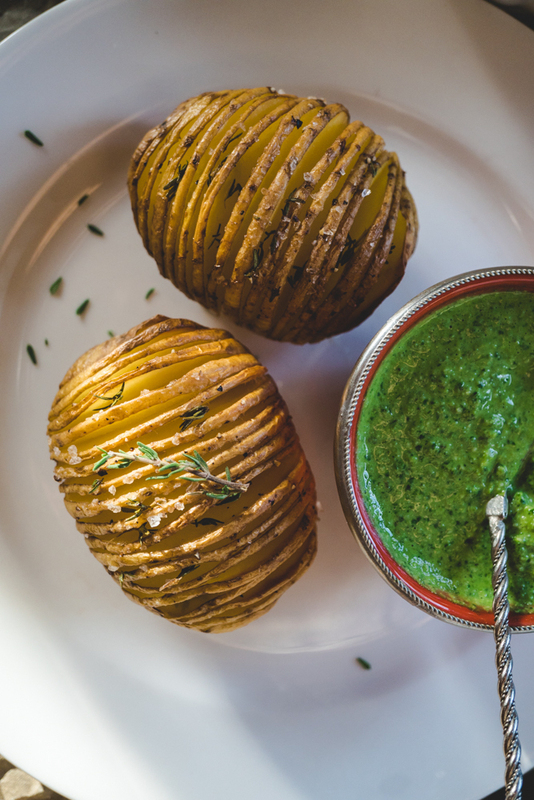 But nothing can beat Hasselback potatoes. 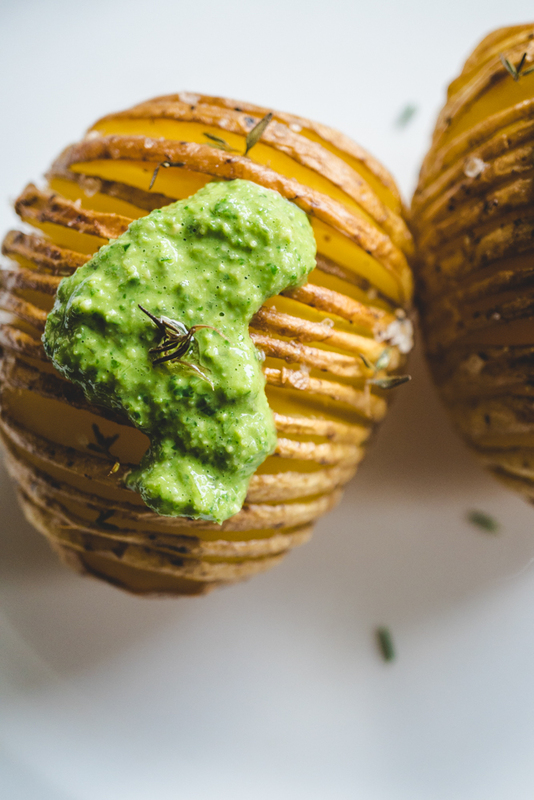 In this recipe you’ll discover how to make the crispiest and most flavourful rosemary Hasselback potatoes with tangy parsley and pumpkin seed pesto. 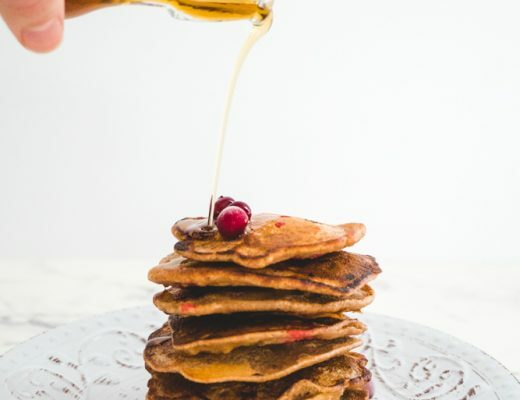 This recipe is a real win-win because it’s vegan, gluten-free, healthy and comforting at the same time. 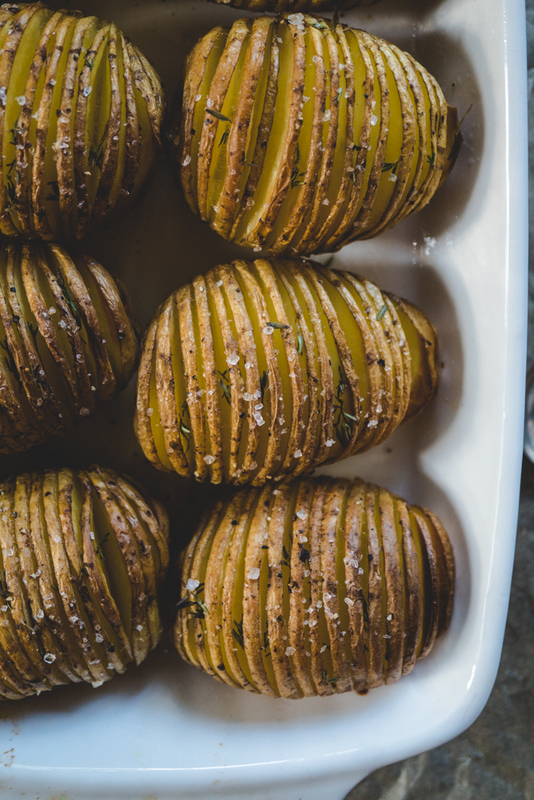 If Hasselback potatoes are a new discovery for you, let me step back a little. 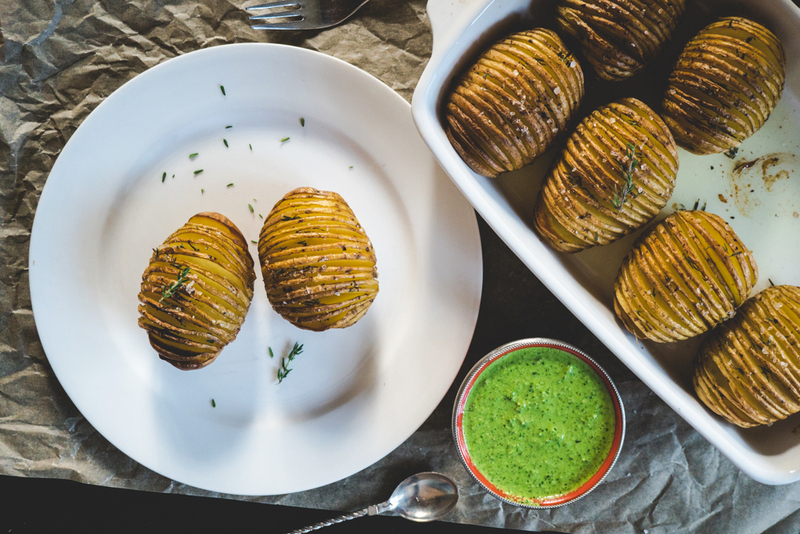 Hasselback potato is a special way how to bake a potato. 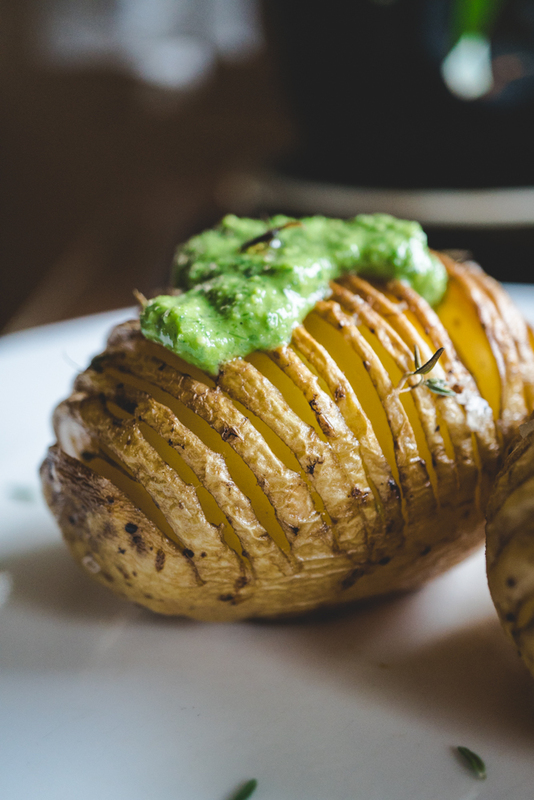 This dish is also known as Potato à la Hasselbacken and originally comes from Sweden. And because of the chilly autumns and cold winters, Sweden, just like my home country Latvia, is the expert of hearty and warming comfort foods. 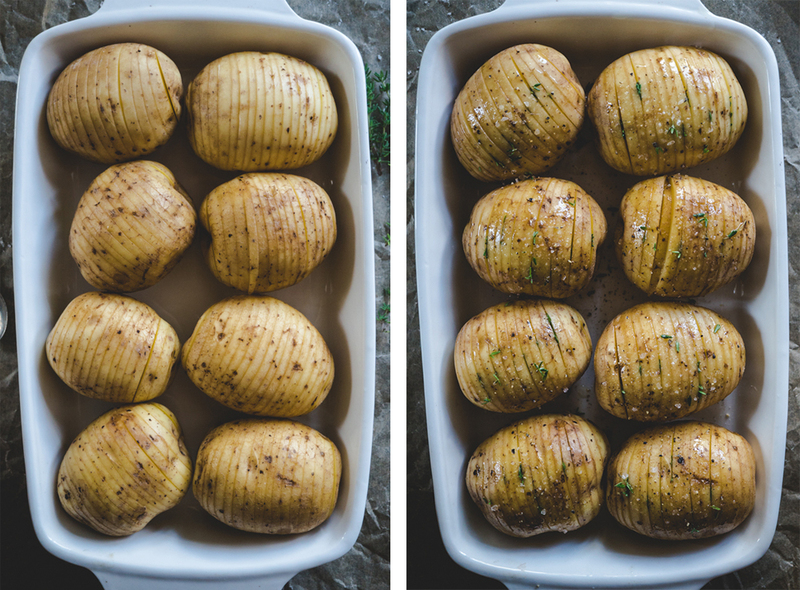 Making Hasselback potatoes is pretty simple, actually. But it may take some practice. The reason why this kind of potatoes tastes so good is that you cut thin slits into each potato. When baking, these slits will open and soak up all the flavors that you’ve added to the dish. 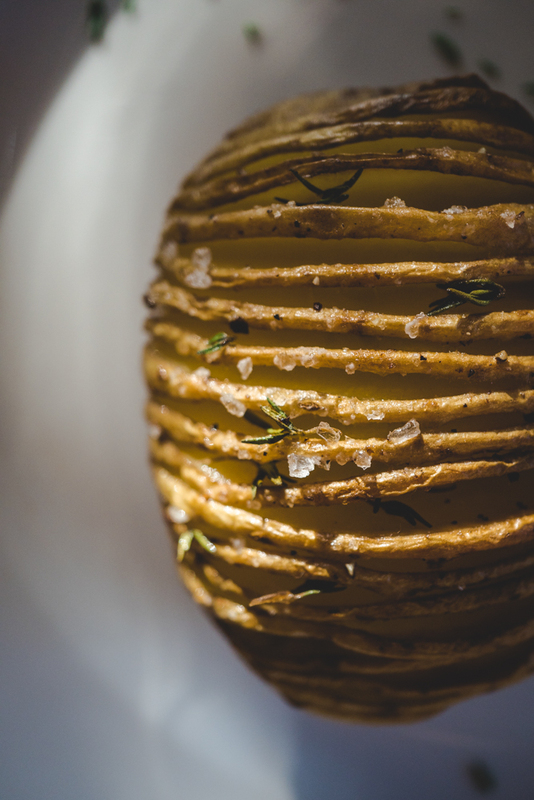 Moreover, the thin potato layers will become very crisp at the end of baking leaving the inside of the potato soft. 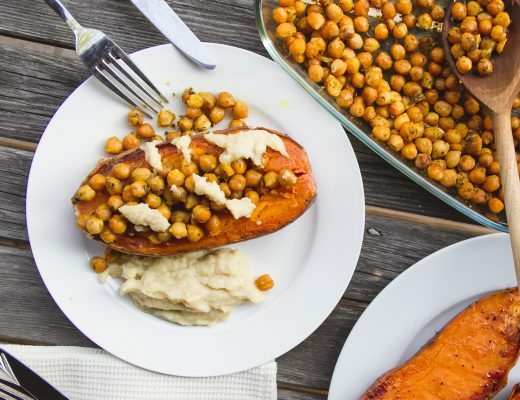 And this all together creates a delicious carousel of flavors and textures. 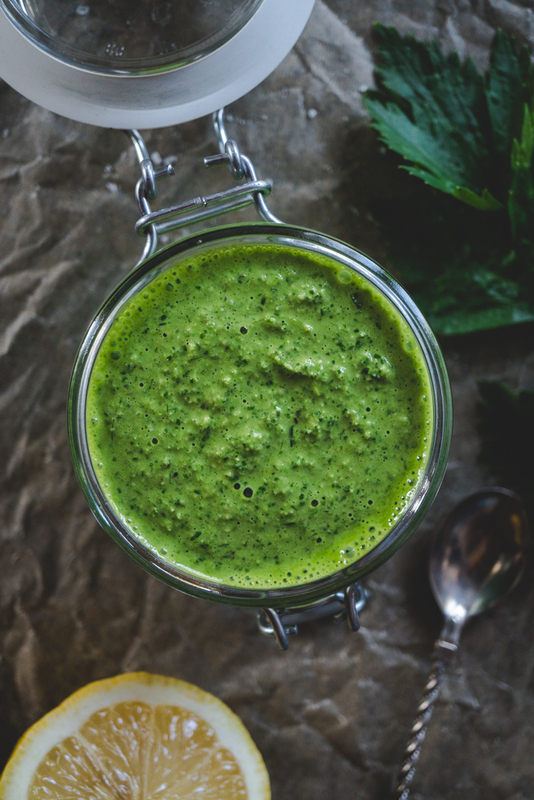 Parsley and pumpkin seed pesto adds the final touch of garlicky and tangy flavors. 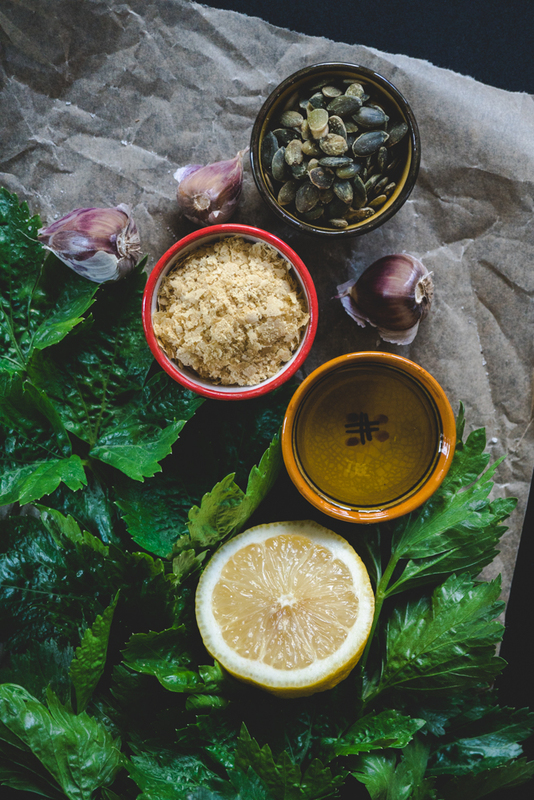 At the moment, my garden is blooming of fresh parsley so making a pesto out of it felt like the best thing to do. I’m all about using up everything from my garden as much as I can! 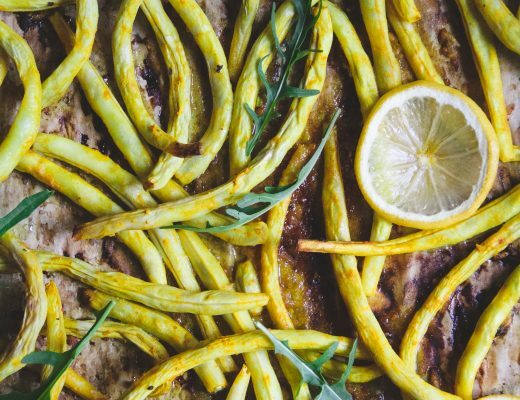 By the way, this pesto makes a perfect combo with roasted vegetables too. 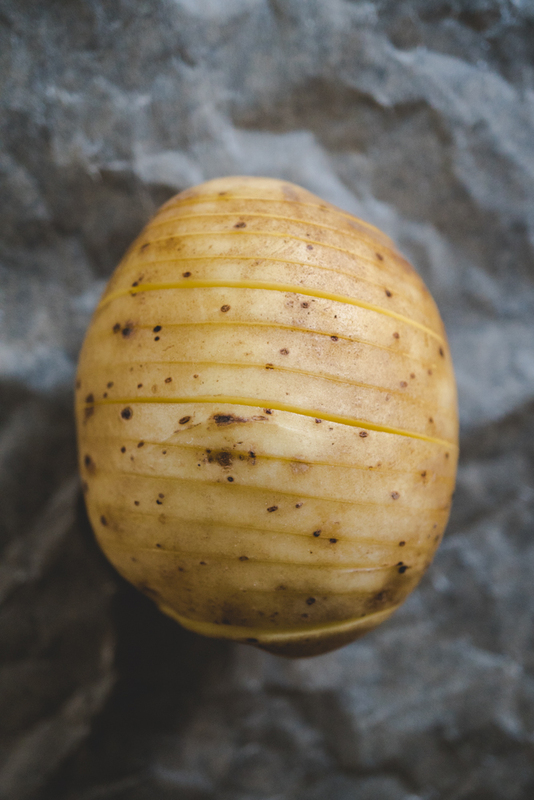 And just a reminder – potatoes aren’t bad for you as a lot of people may think. They’re rich in vitamin B6 which keeps your nervous system healthy. 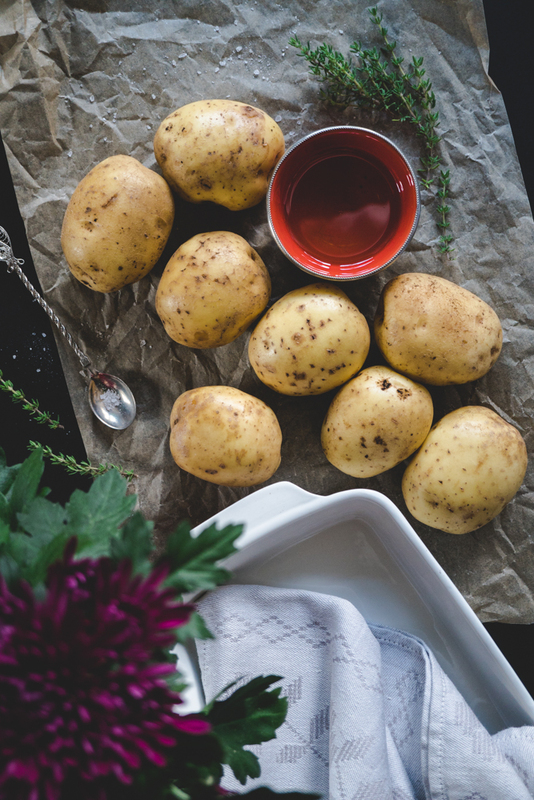 Potatoes are also a good source of potassium, chopper and even vitamin C.
Preheat oven to 200°C (425°F) with a rack in the middle. Cut thin 3 to 4 mm (about ⅛ inch) slits into each potato. Stop just before you cut through (about two-thirds into the potato) as it’s important that the slices stay connected at the bottom of the potato.